Superior comfort with the added security of a bolster. This bed sits on top of 3 inches of medical grade orthopedic foam, while the bolster is filled with premium polyfil made from recycled plastic bottles. Dog Ortho Bolster Sleeper has different options and/or variations, please choose below. Superior comfort with the added security of a bolster. This bed sits on top of 3" of medical grade orthopedic foam, while the bolster is filled with premium polyfil made from recycled plastic bottles. 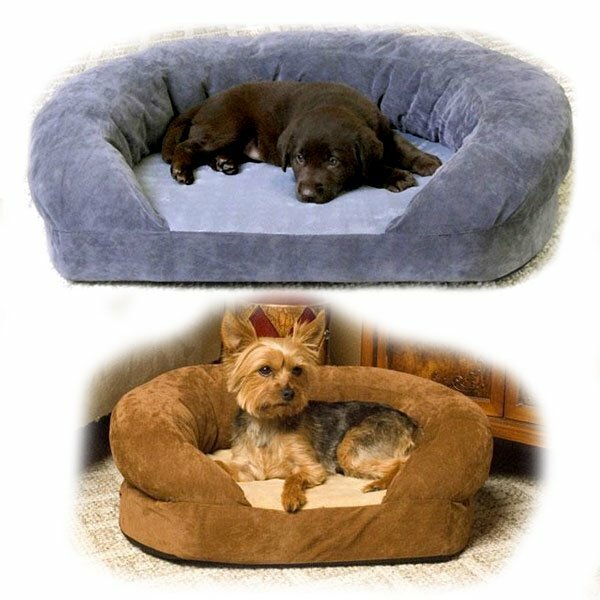 The bed is made from soft, upholstery grade velvet and the sleeping surface is covered with super-soft microfleece. This bed is luxury from top to bottom. the cover is removable for easy machine wash and care. Available in 3 sizes and 2 colors.